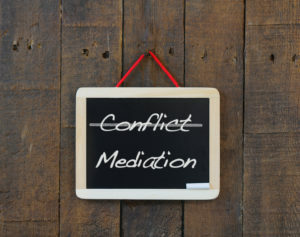 Often times, rather than going to court a case will go to mediation instead. So first of all, what is mediation? Basically instead of having a trial, the two parties (in this case, probably you and the insurance company’s team) will meet with a neutral third person to try to resolve a claim before a hearing. It gives you and the insurance company a chance to work out your own deal to close a case. How is this different than court? For one, no one can make you or the other side settle your claim. You only form an agreement if you both actually agree to the final terms. Additionally, you won’t be sworn in or questioned. Of course, you have the right to speak, but it’s not a requirement. But don’t worry, your attorney will give you more details about speaking before the mediation. Who is the mediator and what do they do? The mediator is the person who comes in as the neutral third party — they’re not on your side, and they’re not on the insurer’s side. They’re just there to help you come to an agreement. They will most likely talk with you about the tough parts of your case. But don’t feel singled out! They’ll also be asking the other party questions as well. They will act as a go-between between you and the other side. This will help get each side’s points and arguments across. If you are able to come to an agreement, the mediator will write it up and everyone will sign it. At this point, your case will be resolved. Mediation is a common practice in workers’ comp law. In fact, our courts order that each case at least attempt to come to an agreement through mediation before going to trial — which is good for you because mediation generally saves a lot of time and money. Moreover, both parties are able to feel like they contributed to the outcome and generally walk away satisfied. Don’t worry, though, if your mediation is unsuccessful. This just means that your case will move onto court, where a Judge will make a final decision. What is mediation and how does it work? Talk with your attorney about any questions you have and listen to their advice on expectations for the process. 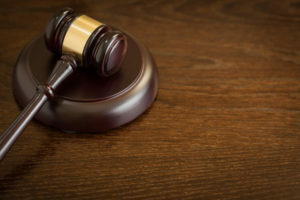 The idea of having to go to court over your workers’ compensation claim can be incredibly stressful. But don’t worry. Your attorney will do their best to prepare you and help you through the situation. There are many reasons you might require a hearing. For example, your claim may have been partially or entirely denied. In either instance, here are some tips for what to do when making an appearance in court. Just like your doctor or an accountant, your attorney has the professional experience to guide you, and following their advice will help you overcome legal matters successfully. They’ll have spent a lot of time getting to know you and studying your specific legal circumstances, so they’ll know all the strengths and weaknesses of your case. It is very important to listen to any instructions, advice, or guidance your lawyer givers you in preparation for your hearing. Many times, the opposing attorney is going to try to get you riled up to make you look unreasonable on the witness stand. Don’t let them get to you! This is not like arguing with a friend or family member. In our workers’ compensation system, the Deputy Commissioner (Judge) at your hearing will be making the first decision on your case. So the judge will be watching and listening to any argument you might have. You do not want him or her to have a bad impression of you or to be distracted from the facts of your case by flared tempers. Therefore, it’s always best to keep your cool. Unfortunately, a lot happens in the courtroom over which you’ll have zero control. For example, doctors often make or break a case based on their testimony. Your attorney will do their best to ask the right questions, but the fact of the matter is that sometimes the doctor won’t answer in your favor. This is true of all witnesses no matter which side calls on them to testify. Because you never know how things will play out, it’s always best to listen to your attorney. Don’t be afraid to ask questions. They handle workers’ comp cases everyday, so they know what to expect and the best course of action to take. If you’ve been injured at work, don’t wait to contact an experienced attorney. Having someone at your side to help navigate you through the entire process makes all the difference. We’ll prepare you for your hearing and through every step of your case. 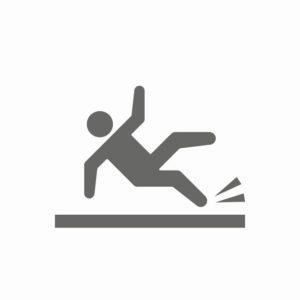 Can Existing Injuries Be Covered by Workers’ Comp? The answer is: Yes you can! The fact of the matter is, we all live real lives, and very few of us will go through life without incurring some kind of injury. Whether it be a back injury, shoulder injury, or knee injury, if you are hurt on the job and your existing condition is made worse by your work injury, then you should still be covered by workers’ comp. Don’t allow someone to convince you that just because you have an existing problem, you should be denied workers’ comp. Cases relating to workers’ comp are clear on the issue. When a workplace injury makes a pre-existing but non-disabling condition become a disabling condition, you are eligible for workers’ comp benefits. Be aware that it’s not uncommon to experience resistance from your insurance company. They’re not going to want to cover a condition that they view as potentially pre-existing. But you are entitled to your rights. If you have a pre-existing injury that has been made worse by a workplace injury, don’t hesitate to call an attorney. Existing injuries that have been aggravated by a work injury may be covered by workers’ comp. Be sure to speak to an attorney to make sure you’re getting the benefits you deserve. Unfortunately, insurance companies nowadays often intimidate injured workers by reminding them that they—not you—have the “right to direct medical care.” In other words, your employer and the health insurance company on their plan have the power to decide which physician you should see. Your insurance company is not your physician. Don’t empower them; empower yourself and your doctor. After all, you know best about your injury, and your doctor knows how to help you get better. He or she is the one who went to medical school, received the proper training, and understands the practice of medicine. Not your insurance company. You have a right to the best medical care. If your doctor believes certain treatment is appropriate for you and the workman’s comp insurance company is refusing to pay, you and your doctor need to fight for the proper course of treatment. Team up with your doctor to fight for your rights. Have your doctor detail in writing why he or she feels you need a particular treatment. Your attorney can then use this documentation to file a motion with the Industrial Commission, seeking approval for the recommended care. Don’t allow yourself or your physician to get frustrated and give up. If the care you need is not being authorized or is being denied by an internal utilization review conducted in-house at the insurance company, keep fighting. Your health is worth the fight! Oxner + Permar has won case after case in which it seemed that the employee was going to be bullied by the insurance company. We don’t let that happen. In workers’ compensation cases, we care about the employee who has been hurt on the job, and we know how to make sure that their rights are protected. And insurance companies know our reputation—as attorneys who don’t give up until they get the care that they deserve.